A poster with Isaiah 40:8 that could be used on a bulletin board. Just add a Bible and some fall pictures. From teacherhelp.org. A scarecrow bulletin board from bulletinboardideas.blogspot.com. Spice up the hallway outside of your classroom with this scarecrow idea. A fun and unique way to display data. Use Leaves, Pumpkins, or other fall stickers on these incentive charts. From teacherhelp.org. Use this banner for an autumn bulletin board or other room decoration. From teacherhelp.org. Use this banner for a bulletin board or other room decoration. This is from teacherhelp.org. This colorful banner is from Sparklebox. Use silk leaves or real leaves for this cute fall craft. 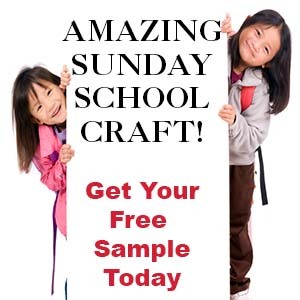 This is from freekidscrafts.com. An easy puppet for young children. This puppet is easy to make with real leaves for wings and triangles and circles for the face. Made with paper towels and liquid watercolor paints. I included this apple theme with the fall links because it is often used by teachers in the fall. A cute fall craft. Make with colored paper. This is from Krokotak. These apple numbers are for large calendars and are from the Virtual Vine. Use a crockpot to make applesauce in the classroom. This is from brighthubeducation.com.